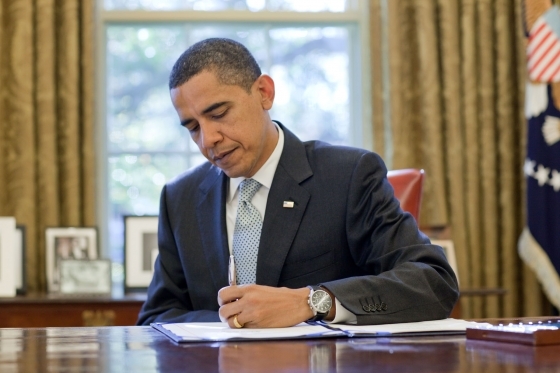 Executive Action Will Be Announced Thursday; What Should We Expect? Administration officials say a key part of the announcement will be allowing the parents of American citizens, who are undocumented immigrants themselves, to remain in the United States without the threat of deportation. That would include the parents of legal residents, but not the parents of children eligible for delayed deportation under a rule Obama enacted in 2012. Up to 3.6 million people would be affected by that change, according to an estimate from the Migration Policy Institute, though the figures are smaller if Obama’s announcement includes a minimum number of years spent in the country. Mandating parents live in the U.S. for at least 5 years before becoming eligible would bring the number affected to 3.3 million; a 10-year minimum would bring it down further to an estimated 2.5 million people. In other words, in this scenario, Deferred Action for Childhood Arrivals would not be offered to the parents of DACA beneficiaries. On the other hand, undocumented parents of legal residents will be offered deferred deportation. I figure this much has been said in order to lower expectations, although, this blogger has supported including parents of DACA beneficiaries as a means of keeping families united. Over 500,000 have benefited from DACA since 2012. In regards to DACA, though, it could be the case that President Obama will increase the age cut-off to offer more deferrals under that program. Officials also said the plan could include a stronger focus on deporting criminals who are undocumented immigrants and an expansion of worker visas in areas like technology. Obviously, the tech work visas will make Silicon Valley happy, but putting the focus on the original intent of deportation programs, such as Secure Communities, is long overdue. It is said that a huge portion–some say over half–of the Obama administration’s deportations in the last six years have been of people who did not have a criminal record. President Obama recently stated that the United States has been deporting people who shouldn’t be deported. It should be noted that whatever is announced will not affect a person’s immigration status. It is by no means “amnesty,” since beneficiaries will not have the vast majority of rights as legal residents or citizens. Obviously, we will not know until the announcement is made. I’ve kept my expectations low. Homeland Security Secretary Jeh Johnson has stated as much that this announcement will include “border security” efforts. Above all, the legislative battles will continue; the Republican vitriol will surely increase; and there will surely be some confusion along the way. The best source will ultimately be the White House and Jeh Johnson’s people, since the media will likely be less of an informational source for those who need the information. Or, they could try to prove me wrong. We still need a permanent solution that includes those basic tenets as family unification, deportation reform, and end to family detention, and a fix to the “legal” immigration system. The President announces on Thursday, November 20, at 7PM. This entry was posted in Sensible Immigration Reform and tagged DACA, executive action, obama, republicans, white house. Bookmark the permalink.